Hi there!! 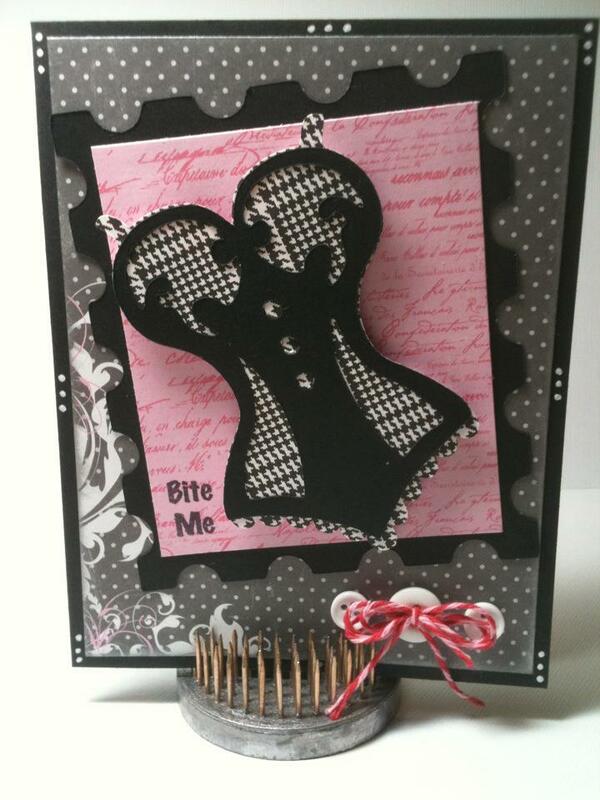 Today I wanted to make a card for the Trendy Twine Challenge using my Cherry Cupcake twine and Jaded Blossom stamps! 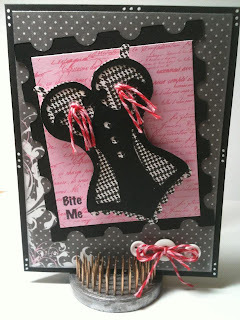 Trendy Twines Challenge requires you to use Trendy Twine or embroidery floss and it has to be a Valentine project! 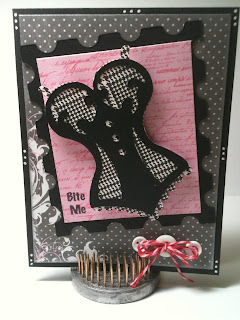 Well, I just LOVE my new stamps from Jaded Blossom and had to use the BITE ME stamp!! I instantly knew I wanted to make a card using the Corset from Cricuts Tie The Knot Cartridge with that saying! The twine was the added FUN to the card! Here are two versions for you! If you want to order this YUMMY twine click here! If you want to order these fun stamps click here! Hope it made you smile! Which card is your favorite?? My hubby's fave is with the tassels of course lol! Love these cards... so cute and yes they made me smile and laugh! Great job! Too cute, both are adorable but you should enter the naughty version in the challenge! Haha! Love it. My twine can be naughty, too. Perfect! Great cards! Love both versions! cute idea have to admit the naughty one is really adorable. This is awesome! So cute and love the tassels! ha ha. So cute!!! what a great idea! Love it!